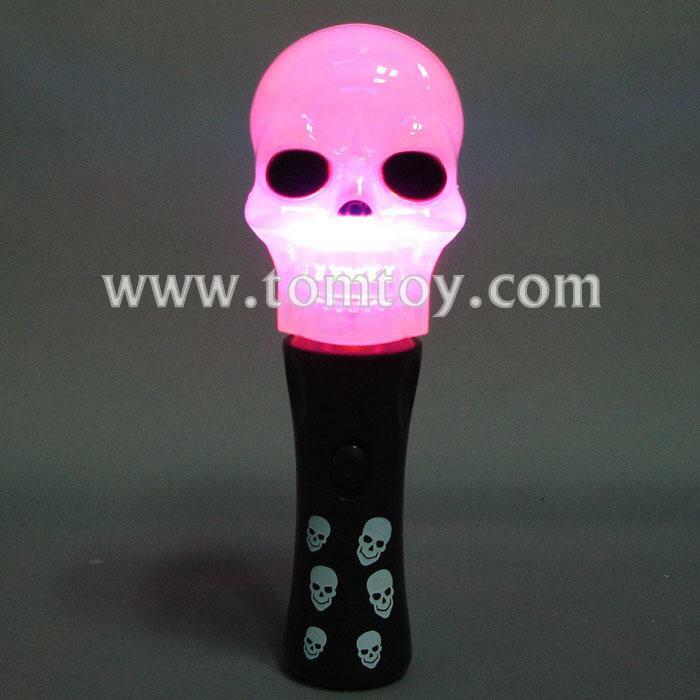 1.Our LED Skull Spinner Wand will be the best way to spook your friends or use as a scary Halloween costume accessory. 2.The click of the button on the handle will bring you through a series of three flashing modes, with blue, green, and red LEDs. 3.Replaceable 3 AA Batteries are included and installed. 4.Each polybag contains one LED skull spinner wand.